New cutscene and gameplay footage has been released for Platinum Games’s hack n’ slash title Metal Gear Rising: Revengeance. The trailer showcases protagonist Raiden under control of his “Jack The Ripper” persona during a corporate raid in Colorado. This persona has been hinted at in previous Metal Gear Solid titles as Jack was a child soldier made to fight during the Liberian Civil War under the wing of Solidus Snake. The former was injected with nanomachines by the Patriots but repressed his memories of his horrific childhood. Once Raiden remembers he starts to suffer with self pity but finds redemption in his wife and child during Guns of The Patriots. His “other self,” lying dormant, surfaces during Rising and is a critical factor of his actions and mindset later in the game. The trailer showcases Raiden’s mental state during the persona takeover driving on a Denver highway. I found this sort of unusual as you wouldn’t expect Raiden to drive to a mission, especially in a low-end albeit futuristic car, under control of a maniacal alter-ego. I’m not particularly a fan of his “Jack The Ripper” voice compared to Raiden’s normal voice: it reminds me of the vocal transition of Christian Bale’s portrayal of Bruce Wayne to brutish Batman in the Christopher Nolan films. There isn’t a strong narrative compared to the Solid titles but Lightning Bolt Action is the name of the game and the gameplay is where the trailer excels. The combat system remains relatively the same from the 25 minute extended gameplay footage with core chain combos, Blade Mode precision slicing, and cinematic finishing moves. This is demonstrated during Raiden’s encounter with two non-Gekko mechs as he proceeds to systematically take apart and finish off these enemies. 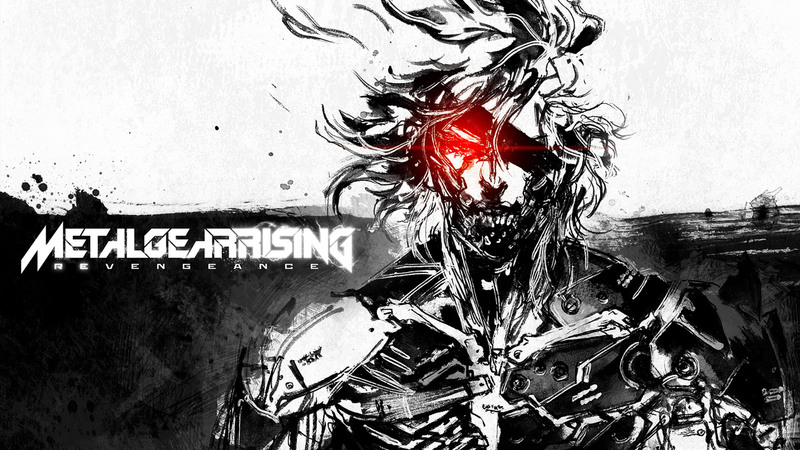 Metal Gear Rising: Revengeance will be released next month in North America on February 19, in Australia on the 21st, and Europe on the 22nd for both the PlayStation 3 and Xbox 360. Revengeance will be a PS3 exclusive in Japan where it will be released on the 21st. Below is the “Jack The Ripper” trailer. This entry was posted in Gaming News, General Articles, Previews and tagged Gameplay, jack the ripper, konami productions, metal gear rising revengeance, platinum games, PS3, raiden, trailer, xbox 360 on January 18, 2013 by Lucius Markov. I'm a misanthrope who values self-improvement above all else. I can be pretty blunt, sarcastic, and cynical but passionate regarding certain matters. Must be a Scorpio thing... People who inspire me are Patrick Bateman, Robert Downey Jr., Johnny Depp, and Kurt Cobain. A metrosexual serial killer, a sarcastic yet charismatic actor, Jack Sparrow, and a dead 90s rocker. Says a lot about me, right? I joined the Wired Fish as a way of doing something constructive for the gaming community. My favorite genres are survival horror and first/third person shooters. These titles will be my primary focus.